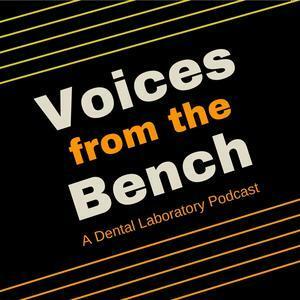 We found 2 episodes of Voices from The Bench with the tag “denture man”. We welcome back to the podcast James Angelone, The Denture Man, as he shares with us some of the many techniques he has picked up working chairside for many years. Elvis and Barb sit down with James Angelone "The Denture Man" to find out how a 11-year Marine Vet can become a highly skilled removable technician that teaches alongside a Prosthodontist.